If you’re among the growing number of workers who’ve been given the opportunity to work from home or the growing number of employers who are granting such permission, good for you! Telecommuting can save a great deal of time and can be a great recruiting tool for employers. 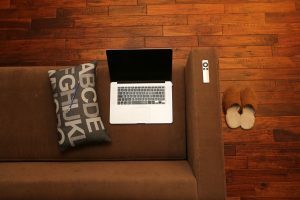 Done correctly, a telecommuting arrangement can be a huge plus for both worker and company. But there are pitfalls; it takes some preparation to make a work-from-home arrangement as productive as possible. Here are some tips for employers to help get the most out of a remote workforce; in a future post we’ll offer some advice for employees. The Space. Employees will want a dedicated area in their home to block out distractions and to be able to work without interruption. An office, spare bedroom or even an unused area in the den or basement can work. The couch or recliner will not work quite as well. Those will actually send a signal to the brain that it’s time to relax, which obviously, is not the desired outcome. While you can’t inspect employees’ homes, it is fair to ask some questions about where and how they plan to work. You have the right to expect an environment that, at the very least, is free of barking dogs when the employee is on the phone. Test Drive. Don’t assume that all company methods of communication will work as well at home as they do in the office. Whatever method of communication is used – phone calls, emails, shared online meetings or presentations – have them test those methods from home before they’re needed. Lock It Down. From the employer side, a growing concern with telecommuting is maintaining cybersecurity. Finding the right balance between accessibility and security can be difficult, and with new malware and ransomware variations coming nearly every week, the need for adequate protection measures is greater than ever. Don’t wing it here: look for professional solutions that keep you secure without frustrating your staff.